Over the next few days I’ll be posting my impressions and comments regarding the San Rafael SMART Station Area Plan. It’s such a large, complicated, and potentially game-changing document that it needs more than just a single post. Today we tackle land use. Subsequent posts will examine parking, mobility, and the future of the area. San Rafael has released its draft downtown SMART Station Area Plan, and I must say that I’m excited. So many good policies are wrapped into this – reducing parking requirements, form-based zoning, traffic calming, street engagement – that it has the potential to change the face of San Rafael and Marin by showing what can be accomplished with sensible zoning and real walkability. While not a 180-degree turn in local planning practices, it’s pushing that direction. If comments from the Planning Commission are any indication, there’s a hunger to go all the way, and that can only mean good things. San Rafael’s Station Area Plans cover the immediate areas around the upcoming Civic Center (for another post) and downtown SMART stations. The downtown station will be located at the current site of Whistlestop Wheels and will be the terminus for the system’s Initial Operating Segment (IOS), which will extend north to Guerneville Road in Santa Rosa, roughly 37 miles away. To prepare for the incoming train, San Rafael convened the Advisory Committee, consisting of representatives from San Rafael; the San Rafael Redevelopment Agency; SMART; the Golden Gate Bridge and Highway District (GGB), which operates GGT; Marin County; Marin Transit; and the Transportation Authority of Marin. Their mission: to create the first real transit-oriented, mixed-use communities in Marin since the end of the Northwest Pacific Railroad in 1941. This location is almost antithetical to transit-oriented development, located as it is next to the elevated section of Highway 101 that cuts San Rafael in half. Second and Third are extremely busy arterials that function as extended freeway ramps, and the area is dominated by parking lots and auto-oriented uses, such as gas stations and body shops. Almost antithetical, but not quite. The station neighbors the Bettini Transit Center, which has buses departing frequently to all over the Bay Area and sees thousands of riders per day, and the Fourth Street commercial corridor. Existing residential neighborhoods have a strong walking component, even under the freeway. In other words, the neighborhood may be ugly but it is the transit and commercial nexus of the county, and that makes it ripe for redevelopment. The key to development in this area is fairly basic: make it a place people want to walk around in and stay through safe sidewalks and streets, calm traffic, interesting sights and sounds, and high degrees of connectivity. This is exactly what the plan advocates. For land use, the plan recommends increasing height limits along Heatherton to 66 feet, enough for five-story structures, and to raise the limit to 56 feet along Irwin, as well as along Fourth Street to Grand. Within these zones, the floor-area ratio would be raised to 2.0 and 1.5, respectively, while both areas would see density requirements lifted. Residential uses would not count towards FAR, while parking minimums would be relaxed, although not eliminated. I wrote last week about the need for residential development within the core, and the above would aid immensely in this endeavor. Conceptual plans for the blocks immediately surrounding the station show the possibility of hundreds of new homes. Given that a household can support 73 square feet of retail, just the example developments would support close to 20,000 square feet of retail. Given the slack retail market in San Rafael, this will be a major boon to neighboring businesses. With office development and the centrality of San Rafael to Marin, retail is likely to do extremely well. The Montecito Neighborhood Association, which represents homeowners along Fifth Street between Irwin and Grand, complained that increasing height along Fourth on their block would overshadow their homes, and I’m inclined to agree. Really aggressive land-use liberalization could accomplish the same goal of pulling the downtown core across the freeway without increasing heights at all. Perhaps the city could lift lot coverage maximums, implement a setback maximum, and lift parking requirements while maintaining a two-story height limit. I hope that the Montecito Neighborhood Association will not come out against larger portions of the plan than just those that would effect their own homes, and so far they have limited their strong opposition to just those recommended changes on the eastern side of the freeway. If they do begin to oppose developments in places that would not effect their homes, San Rafael could have a problem on their hands. 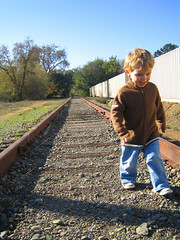 I’m concerned about crowding out the possibility of a second track through town, however. If the system performs better than anyone expects, it could lead to major problems down the line and severely limit capacity. I don’t want planning now to put a ceiling on the system if we don’t have to. In any event, these land use patterns are new and innovative for Marin. The Planning Commission was strongly in favor of the plan, and some even wished it would go further, instituting parking maximums or abolishing the minimum altogether, but they also felt that San Rafael was not ready for that sort of thing. This sort of change comes slowly, and the Station Area Plan is the first step. 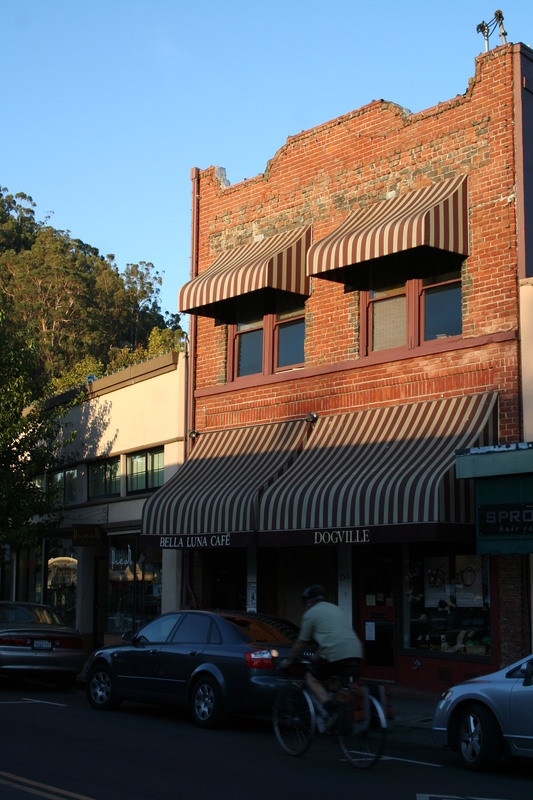 Marin’s downtowns are rich, vibrant places, but they’re typically seen as historic shopping districts rather than places to live and work – Downtown San Anselmo is not considered to be the same as The Flats, although they are literally on the same blocks. When redevelopment peaks its head out, it becomes lost in a sea of parking (as in the San Rafael Corporate Center), gets stymied by illogical density limits (as in the Second & B Monahan proposal), or dumbed-down by developers that see Marin as just another suburb (as in Larkspur’s Rose Garden development). Few bold developments do get built in our town centers, and the most important one of late – Novato’s Millworks – is perceived as a failure despite low vacancies. One reason this might be is due to residents’ perceptions of urban living. Many Marinites are San Franciscans who left the city in the 1970s and 1980s. Urban living, with its grit, crime, and bad schools was not for them, so they sought suburbia and wilderness at the nadir of America’s cities. For a while, most commercial development was in shopping centers along 101, and most residential development was suburban tract homes. Marin never went as far as Santa Clara, but that was largely due to geography – it’s no accident that the most car-centered areas of Marin are the flattest. Old Urbanist offers a broader view than my particularly local theory. He argues that the American conception of cities has always been the separation of residences and commerce, exemplified in the downtown/suburban divide. The commercial interests didn’t want to give up their prized land at the center of town, so residents had to sprawl further outward, prompting more and more innovative transportation technologies culminating in the automobile. Old Urbanist writes, “Once cars began to proliferate in the 1920s, the response was not, in most cases, to entice suburbanites with visions of urban living, but to either make valiant attempts at mass transit systems or, more often, to turn over large swathes of the downtown to the car.” The car made it economical for jobs to sprawl with the people, and downtowns declined. This was just as true in Marin as it was in San Francisco. 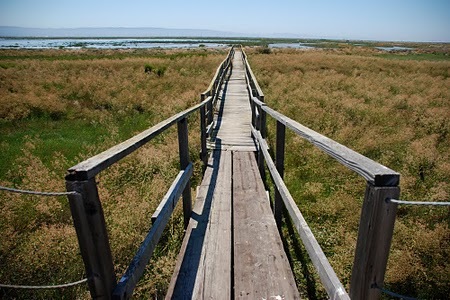 Offices that moved to Marin went to Terra Linda or Greenbrae, and retail followed. Meanwhile, to accommodate Highway 101, San Rafael wrecked its inner waterfront and devoted half of its downtown to car throughput. The old rail right-of-ways became arterial roads, making shopping centers almost as accessible as downtown. Without a large built-in population, the historic cores necessarily declined. To really renew our downtowns, we need to alter our perception of them. Our town centers are not just old-timey shopping centers competing with the strip-mall shopping centers but vibrant urban spaces for business and residences alike. Thankfully, this shift has already begun. 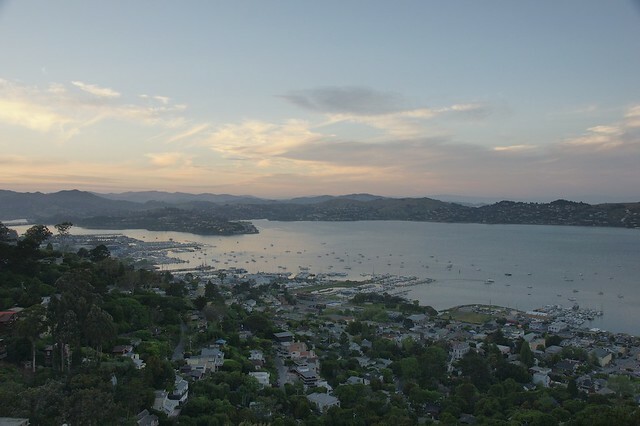 Downtown housing is a recurring theme in Marin’s draft housing elements, coming up even in the elements of Belvedere and Corte Madera. 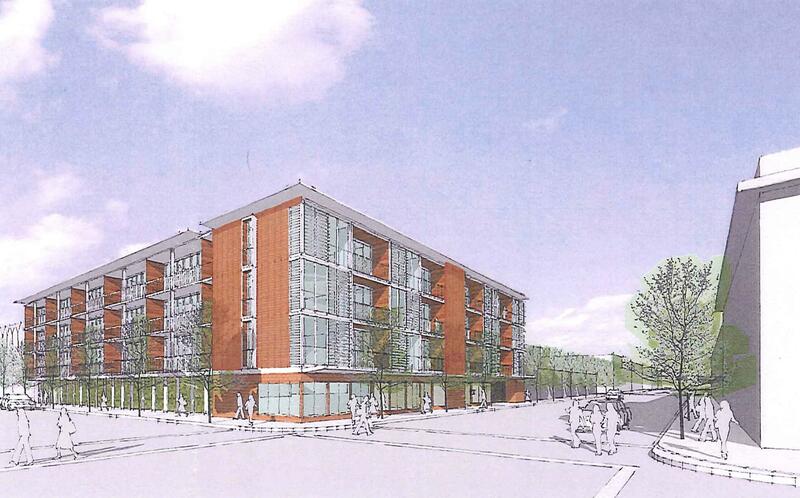 San Anselmo going so far as to rezone its downtown core to allow for second-story apartments. But this principally accommodates new residents; the old ones that fled the city still perceive density as an evil that brings the crime, grit and traffic of the 1970s, and that perception hinders development now. In forgotten regional cores like Nashville’s, people are accidentally finding out that they really love living walkable, connected lives in the city. Rebuilding Place in the Urban Space looked at Nashville’s revival and proposed that, rather than leave revitalization to chance, downtown chambers of commerce or business improvement districts should actively market urban living. They might rent a model unit and decorate it exclusively from local stores, or organize walking tours of the city. Such measures would reacquaint Marinites to the kind of urban living our cities can support and show that it doesn’t have to be like the old San Francisco. Indeed, residents moved to San Francisco to enjoy the urban lifestyle and moved out because they had families. Perhaps they can see that they can have that lifestyle again without going back to the City, and perhaps then residents will ask more from developers than just more detached housing. Monahan Development Inc. is proposing to add 41 units of housing and 1,400 square feet of retail to downtown San Rafael at 2nd & B Streets. Although the project is still in its preliminary stages, currently undergoing redesign based on comments from the city’s Design Review Board, what is known is that the building would consolidate four parcels into a four-story building. (Click here for the meeting and attachments.) In whatever form it takes, more apartments would be a boon to downtown, but it is limited by legal barriers and complicated by the presence of a historical Victorian on the site. The proposal would consolidate four parcels into a four-story, 41-unit apartment building, with two retail bays along B Street and a 57-space parking garage about a half-mile from the Bettini Transit Center, Marin’s busiest transit hub. Two of the parcels to be consolidated are old Victorian houses that have seen better days, the third is a commercial space akin to the other ugly buildings along 2nd, and the fourth is a parking lot that has become a magnet for crime. Given the prime location and the decrepit state of the parcels, it’s not surprising to find that this is not the first time the space has been targeted for development. The Board’s staff report shows that four other proposals since 2005 have been floated and abandoned by various developers and that this is the first without significant commercial space. With San Rafael’s commercial sector so weak, a focus on residential development is a welcome change. The residential development, however, is severely curtailed by San Rafael zoning laws. The property is zoned for a maximum of 30 residential units, but the developers would receive a density bonus by including more affordable housing. Even with the density bonus, the 41 planned units are only enough to fill out three floors; the bottom is used as a parking garage for the required spaces. While the two retail bays do interact with the street, a ground-floor parking garage is dead space on an already isolated street, and the market is too weak to support more ground-floor retail. In all, zoning cuts about 14 units out of the structure and promotes car dependence. The complicating factor in this site is a burned-out Victorian-era house at 1212 2nd Street, which is marked as a cultural resource. At the moment, Monahan proposes to demolish all structures on the site, including the house at 1212, but doing anything to the 1212 structure would require an Environmental Impact Report, an arduous and fraught task that makes any construction within the project’s limited allowable scope that much less feasible. By any measure, downtown San Rafael’s retail sector is weak. Many of the stores that currently exist are transitory, like nail shops, and the streets aren’t exactly bustling. With a new SMART station on the way and the trendiest downtown in the County, San Rafael is primed for the kind of transit-oriented housing Monahan’s project could be. Unfortunately, zoning restrictions means that the development will just be better than nothing; it does not start a new path forward for San Rafael or the County. Given the history of failed projects for the site, however, “better than nothing” might be about as good as San Rafael can get.